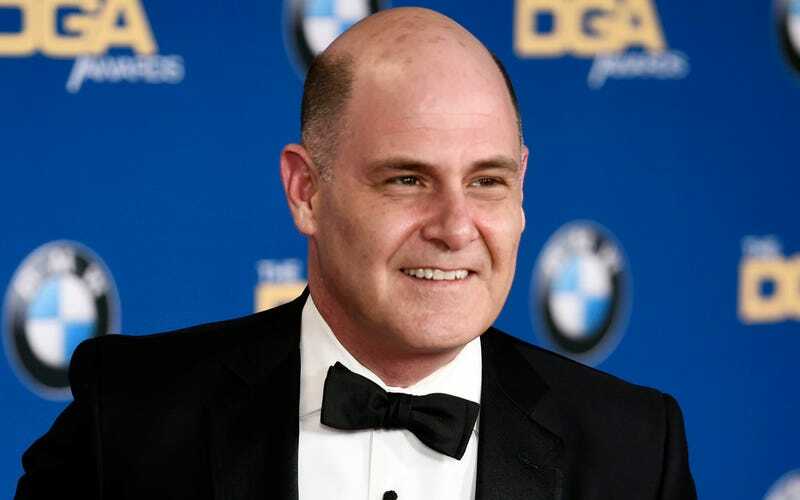 In an interview with the Information published Thursday, former Mad Men writer Kater Gordon claimed that the series’ creator, Matthew Weiner, sexually harassed her while she was working on the show. Gordon told The Information that Weiner informed her one night, as the two were working alone, that he deserved to see her naked, that she owed it to him. “[I] froze and tried to brush [the comments] off,” Gordon told the Information. She continued her work unabated that evening, acting as if nothing was wrong. Afterward, Gordon says she was afraid that addressing the situation would “end her career.” Yet she knew a boundary had been crossed, and questioned whether she was able to continue working with Weiner. The Information reports it corroborated Gordon’s story with several confidants she told the story to over the years. Gordon began her professional relationship with Weiner as his personal assistant, then was promoted to “writers assistant,” then to a Mad Men staff writer, eventually going on to split an Emmy win with Weiner for Outstanding Writing for a Drama Series in 2009. Shortly after receiving her Emmy, and a year after the alleged incident, Gordon was fired from the Mad Men staff writing job, which obviously raised some eyebrows given the recent success of her collaboration with Weiner. According to Gordon, Weiner told her a few weeks after her Emmy win that he would not be renewing her contract because she had “fallen short” of his expectations. “He told me I was terrible at everything, from my work in the writers room to on set,” Gordon said. After leaving Mad Men, Gordon stopped wanting to write and now works at a non-profit that helps victims of sexual harassment, according to The Hollywood Reporter. A spokesperson for Weiner responded to Gordon’s allegation with this statement. Ah yes, the old I-don’t-remember-saying-that-and-she-used-to-be-my-assistant defense.